The weather changes constantly in Denali National Park, and we often recommend to guests that they dress for sun, rain, wind, and sometimes even snow all in the same day. There’s an old saying that sums it up nicely: “If you don’t like the weather, wait five minutes.” The weather is so varied in the park that about 7 out of 10 days the mountains are out of sight because the Alaska Range is often shrouded in clouds. But why do clouds cover the summit of Denali so often? Much of the answer has to do with where the Alaska Range sits in relation to the ocean. Mountain ranges throughout the state play a big role on influencing the weather and climate. When low pressure systems move northward from the Gulf of Alaska, that moist cold air hits the mountain ranges and condenses while rising upward. 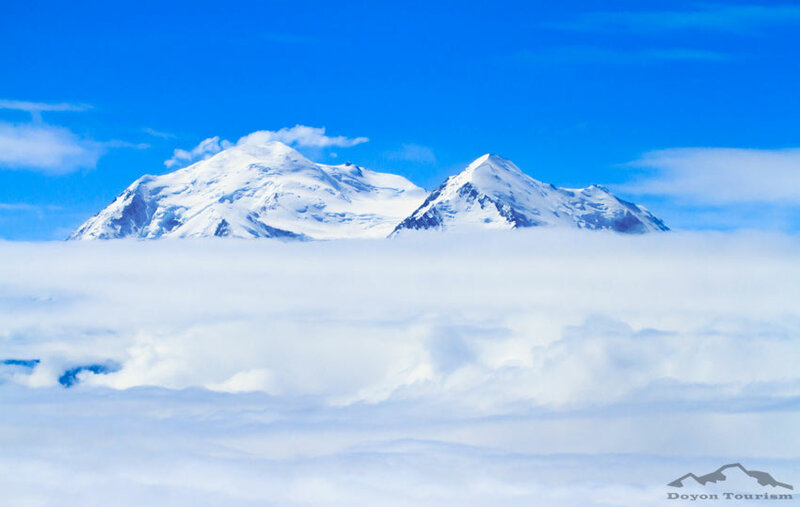 This results in clouds and precipitation in the mountains that often obstructs the view of Denali. This weather pattern means the south side of the Alaska Range, also known as the windward side, receives more precipitation than many other parts of the state. As a result this area is home to large scale glaciers and ice fields. The north side of the Alaska Range, where most visitors stay in Denali National Park, is actually in the rain shadow of the Alaska Range. The weather on the northern side is much more forgiving than the southern side of the mountain, but it is still often varied and unpredictable. While the weather changes often in Denali National Park, this fact alone should not dissuade you from visiting. Rain, snow, and wind are all part of the experience of Alaska. Often, clouds can add a dramatic look to the already breathtaking landscapes of the park. Even so, the elusiveness of the view makes it that much more special. 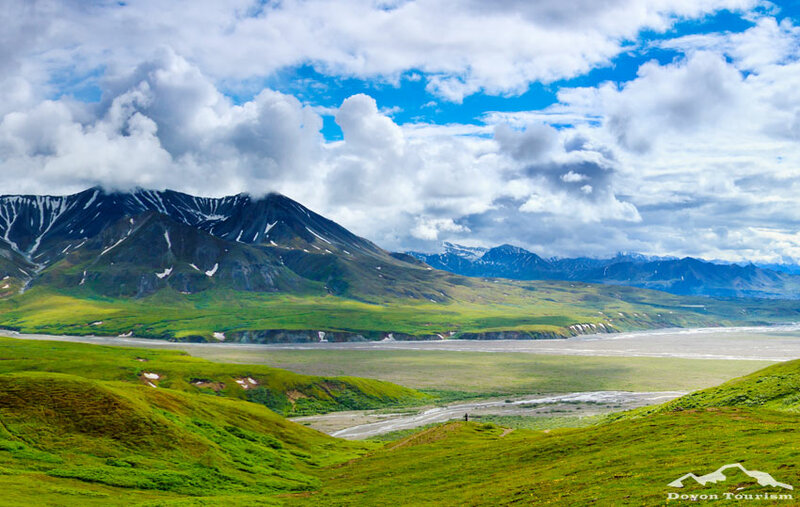 Whether you are lucky enough to spot the mountain or not, there are tremendous views in almost every direction in Denali National Park. Maybe you’ll be lucky enough to see the mountain on your first trip to the park. If not, there’s that much more reason to visit again!